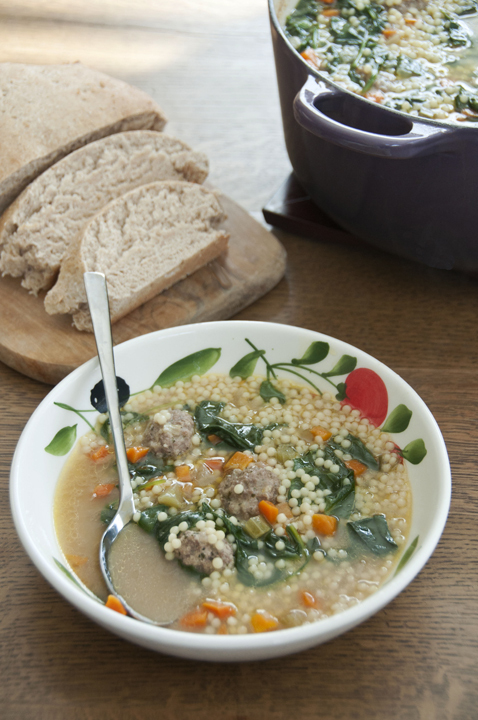 Mini meatballs made of ground beef and pork combined with fresh vegetables to make this delicious Italian wedding soup. 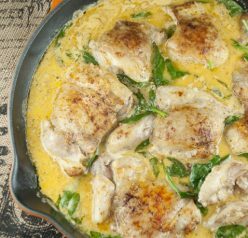 Great easy comfort food for cold nights! When it comes to soup season, I can easily say I have a hands-down favorite: Italian Wedding Soup. Maybe I’m a bit biased, but if it has the word “Italian” in it, you know it’s gotta be good, right? I actually love soup all year ’round, but the perfect timing for eating soup is when it gets cold…and believe me, this week is looking COLD here in Rochester, NY. I don’t even want to say the “S” word, but the forecast calls for snow flurries and possible even some accumulation later on this week. Nooo! I sat there on the couch watching the news last night and when the meteorologist showed the 5 day forecast and said the “S” word out loud, I think my exact words were “Cute…real cute” and Mr. Wishes looked at me, laughed, and said I need to “get over it” when it comes to cold weather. I’m just not ready for it yet. I got a pedicure over the weekend while in Ohio for the Certified Angus Beef holiday cooking event and wanted to wear flip-flops a little bit longer in order to show off my pretty toes 🙂 By the way, the event I went to in Ohio was one of the most amazing experiences I’ve ever had – more on that, along with delicious holiday recipes, coming your way soon! So, I made this soup for lunch on a cold, lazy Sunday afternoon. I made homemade wheat bread to go along with it. I don’t call anything the “best” unless I really mean it – and this really is the best Italian wedding soup I’ve ever had. I don’t think I could have picked a meal I liked more – it hit the spot, whether for lunch or dinner (or breakfast, as it was for me the next day). This soup will always satisfy – even the non-soup-lover like my hubby! It is truly my new favorite. Following close behind is this Chicken Pumpkin Soup. Oh, and you don’t have to be Italian to love this easy-to-make soup! 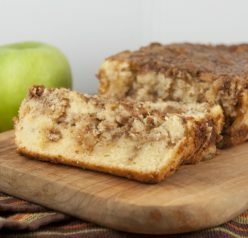 It will be a popular meal with everyone in your family served with hot crusty Italian bread or garlic bread for dunking. Enjoy! Mini meatballs made of ground beef, pork and veal combined with fresh vegetables to make this delicious Italian soup. Great comfort food for cold nights! In a medium bowl, stir the minced onion, parsley, egg, garlic, salt and bread crumbs together. Add the Parmesan cheese, ground meat and pepper and combine, using your hands or a fork. Using about a heaping teaspoon portion, roll meatballs; this will yield about 40 meatballs. Set aside on a baking sheet. This can be done in advance and stored in the refrigerator. In a large Dutch oven or soup pot over medium heat, heat the olive oil. Add the onion, carrots and celery and saute until the onion is transparent, about 7 minutes. Add the chicken stock and bring to a boil. Add the pasta and meatballs, return to a boil, and cook until the pasta is cooked al dente. Taste the broth and adjust the seasoning to your liking with salt and pepper. Add the spinach and simmer for a couple of minutes more, until the spinach is just wilted but still a vibrant green. Ladle into bowls and serve with a little extra grated Parmesan cheese, if desired. Gorgeous Wedding soup. I have not had this soup in about a decade. I love the little pasta, a fun treat on the cooler days. Just Shared! Don’t chastise me, but I have never had a homemade version of this soup (I have only had the canned kind – eek!). Looks and sounds amazing! I was stumbling today and this came up! Looks great and perfect for the cool weather we are having! You just can’t beat a dinner of homemade soup and homemade bread. This is why I love the cooler months! Your soup looks delicious. 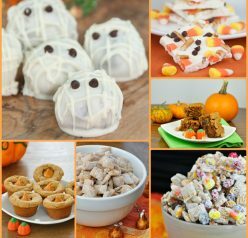 I’m pinning and hope to try it this winter. Thank for sharing. I’m a soup-year-round kinda girl, too. And I am SO not ready for the s-word. As a matter of fact, I’m going to pretend it doesn’t even exist. I am totally wishing this soup existed in a bowl in front of me right this minute, though. I know! It is so hard to pick a favorite soup! I can totally understand why this would be your fave…I’m craving a bite of those little meatballs so bad right now. I’ve been making soup these days too and I know my family would devour this. Thanks! Oh I’m so looking forward to soup and more soup! I cannot deal with snow . . . I can’t do it. But this soup looks wonderful! What a nice looking soup! I would love a bowl now for lunch and tonight for dinner!! I’m with you on the weather, it’s crazy in New England! This soup looks awesome! I love italian wedding soup! Why have I never made this at home?? This looks amazing! I loooovvveee Italian Wedding soup! There’s absolutely nothing else I want on a chilly day than a big bowl of Italian Wedding. I’m so glad someone else understands how underrated it is. If the soup has meatballs I’m all over it and I’m in my official eat soup all the time zone right now! Also yeah they are saying the “s” word around here too but I’m looking at the weather this weekend and it’s just not cold enough! It isn’t going to happen, that’s what I keep telling myself. I always enjoy a good bowl of Italian Wedding Soup but have never made it myself. So glad to have “the best” recipe now! 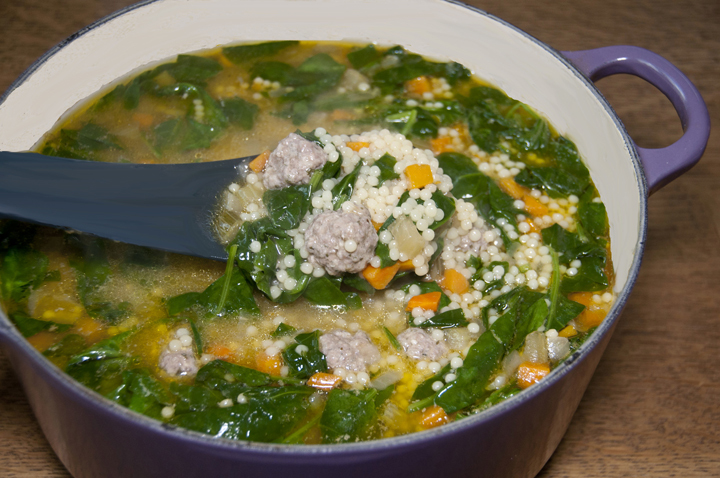 Italian wedding soup is one of my favorites! Probably has to do with the fact that we grew up on it 🙂 This looks completely delicious! I saw the possible ( because I REFUSE to believe) snow flurry forecast. I hope it isn’t true, but if it is, hand me a bowl – I need this soup! This is totally one of the soups on my bucket list! Let me start by saying this soup is FABULOUS! I don’t understand why there are so many comments here but I don’t think I read any where the person actually made your soup. What the heck people! I will say I have never had Italian Wedding soup, or if I had it was not memorable so I am no expert on this particular soup. But I love to cook and have been on a soup making binge the past 2 months. I found many keepers on epicurious and stumbled upon this one and had it bookmarked on my list to try. I find one fault in your recipe that nobody pointed out (probably because nobody made it). You have a list of ingredients for the meatballs and then for the soup. There are onions in the meatball section which are used in the meatballs. There are NO onions in the soup section yet onions are specified for the soup. So I used about 1/2 of a medium sized onion for the soup. I made the recipe as it’s listed except I could not find the little pearl pasta so used orzo instead. I think it a close substitute. I make my own stock via pressure cooker which I found from Alton Brown (google it, there’s a video even). A great stock is the base for a great soup! This soup was just marvelous and I think the pork gave it a subtle sweetness. My wife and I devoured a few bowls once it was ready. On a scale of 10 I would rate this a solid 9. This one is going on my keeper list for sure. Thanks so much for the recipe! If you can update it with the missing onion that would be nice. Thank you so much for your nice comment! I love hearing back from people who make my recipes (it’s not often enough!). I corrected the error in the recipe – sorry about that! I have no idea how I missed that. I made this recipe today for my spouse. He loved it! Thank you and will definitely being making this through the winter.